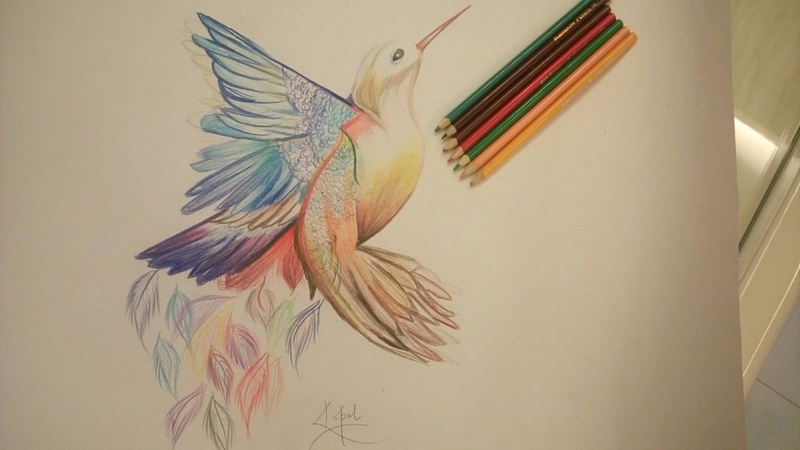 The very first thing while making a drawing is to pick the pencils which you will be using ,it must be sharped properly and also your hand should work on very lightly.. <3 (I use Camlin supreme drawing pencils :P) so that if you have to rub a part of it, it will not leave an impression on the sheet. 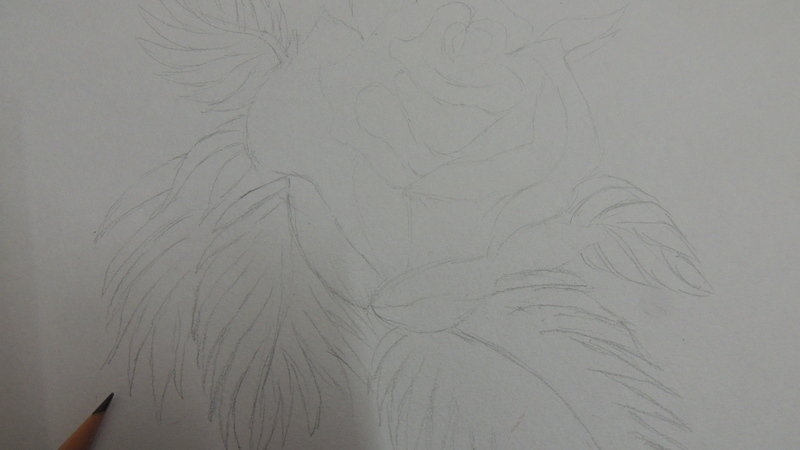 Try to use thick drawing sheet which has a texture at the back and smooth front!! First always try to make a rough drawing so that alterations can be done when you are doing the shading or while final touch. Now choose a part you want to get started with. I always start with outer boundary. In the case of this flower, the most important thing should be the outline of the flower, It should also comprise of different shades. So lets get started with second step of coloring!! EXCITED!! 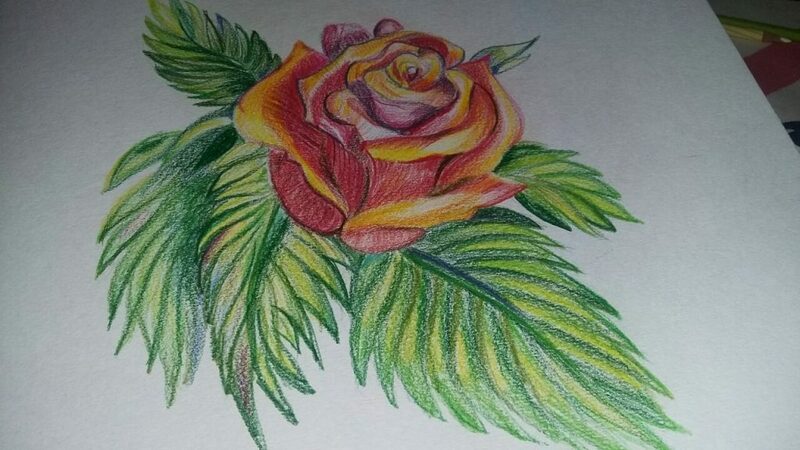 A red color outline and then started shading with yellow color and shades of red. The pencil should work on dark at the corner and while going on in between, light shades should be there so that mixing can be done properly!! In shading the second color should overlap the first color so that the perfect shade can be obtained. Here the outline is clearly visible and the overlapping of yellow and red shades also. In this pic the shades are completely visible. 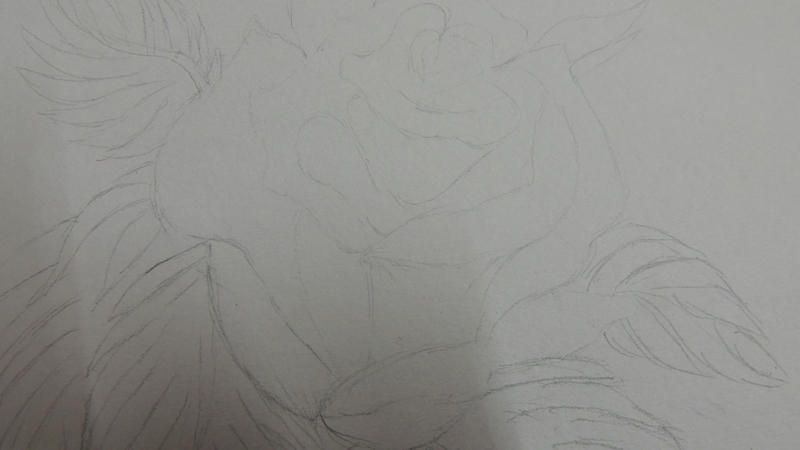 To give a petal effect, some lines also are made which can be properly seen in the above pic. These lines are given at the end when you get completely satisfied with the shades. 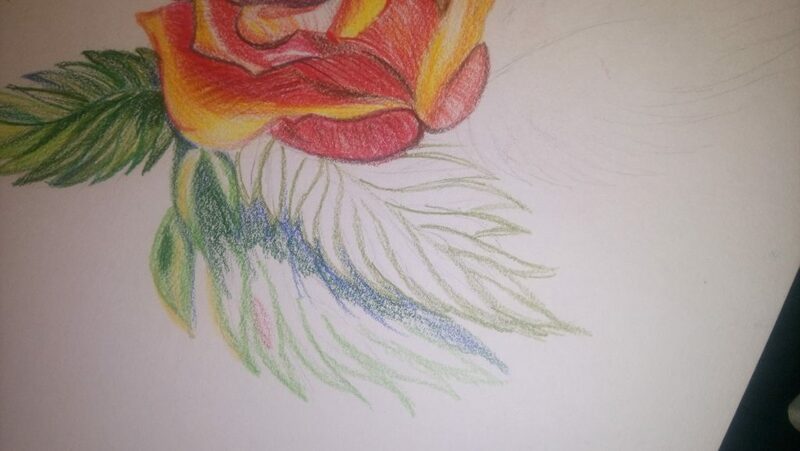 It is not necessary to only use red and yellow, I have given deep brown outline to reveal the originality of flower. 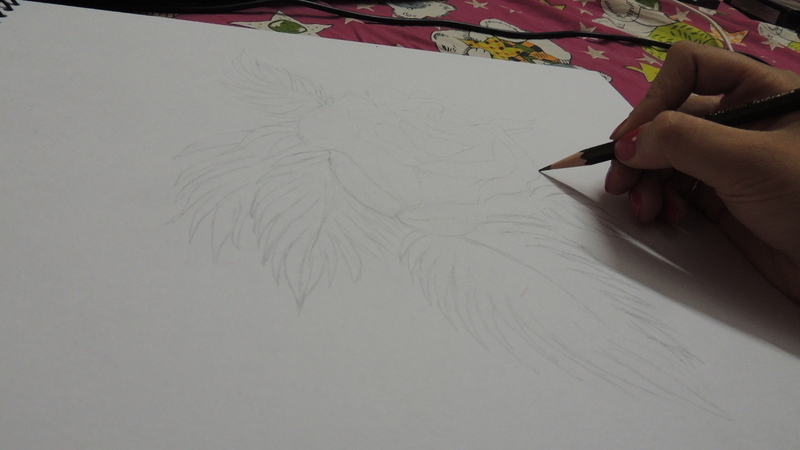 Towards the completion of the flower!! The shades should be in proper direction so that the originality of flower doesn’t go away. Now this flower is almost complete.. shades towards the inner side are being done. Time to look for complete flower <3 EXCITED!! You will feel even more excited when you will trying this yourself.. Being an artist that happiness can’t be described. The shades and the stroke of the pencil is clearly visible here!! 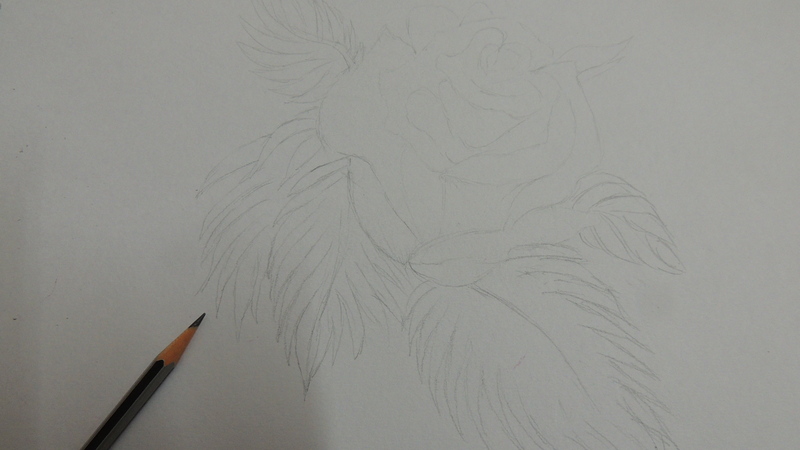 Now Its time to complete the leaves because every flower is incomplete without the leaves. Started with the outline of leaf.. different shades which I have used here are clearly visible.. I have used all different shades of green, yellowish look and a bit of blue color for mixing purpose!! Now I just used the required colors to give a leafy look and the outline took all the credit 😛 so you might now know the importance of shading effects given to outline. Again the same basic rule is followed up!! Outline with shades. Here I have used blue shade in between to give a deep effect in leaves.Once completed then only difference can be seen. I just added some more colors and because my outline was perfect, wasn’t a need to do more!! 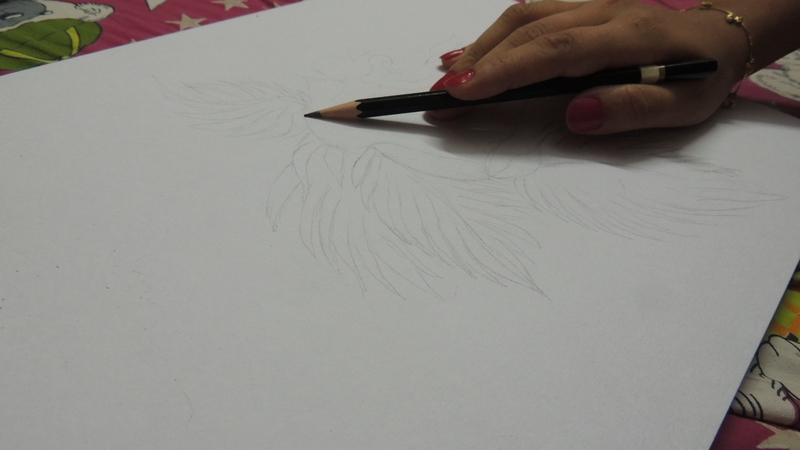 Now we will be moving towards the completion of the flower.. this small leaf can also be done in the same way.. This is how the flower looks upon completion! !